We paid close attention to recommendations from the American Dental Association® (ADA®) when we created our adult and children’s toothbrushes and flosses. Every facet of design has been considered — and accepted — to provide you with a dentist-approved clean every time you brush or floss. Gently brush your teeth twice a day with a soft-bristled brush, for a minimum of two minutes. Each RADIUS® toothbrush is made from soft, vegetable-based bristles that gently invigorate gum tissue while providing an all-over clean. Used correctly, our toothbrushes may reduce chronic bleeding, receding gums, enamel erosion and gum disease (which might also decrease the risk of heart disease). Plus, a more enjoyable-to-use toothbrush like ours makes cleaning for the recommended 2 minutes, twice per day, much more enticing. The size and shape of your toothbrush should fit your mouth, allowing you to reach all areas easily. Brush all surfaces of the teeth, and don’t forget to give your tongue a scrub to remove lingering bacteria. The classic RADIUS oval-shaped “mouth-brush” gets at more than just your teeth. The “evolved” design massages the whole mouth as it cleans teeth and helps improve gum health. The Source™is also specially designed with a long, thin neck for those tricky-to-reach teeth way in the back. Replace your toothbrush every 3–4 months, or sooner if the bristles are frayed. Not so fast! RADIUS toothbrushes are designed to last 2–3 times longer than standard toothbrushes. 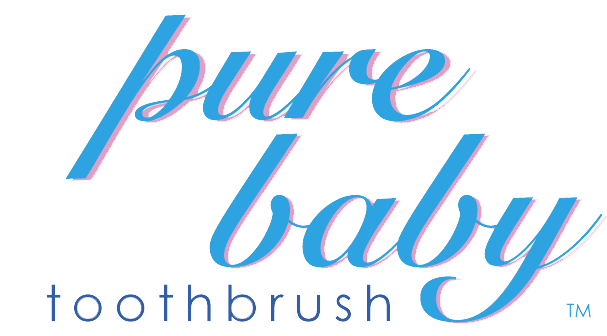 And our Source toothbrush utilises replacement-head technology, so when you’re done with one of its fan-bristled, gum-stimulating heads you simply swap it for another, eliminating the need for a whole new brush. You save money, and together we help reduce energy consumption and waste in our landfills. For a thorough clean, place your toothbrush at a 45-degree angle to the gums and move the brush back and forth in short (tooth-wide) strokes. Our Original™, KIDZ® and SCUBA™ all comply with the dentist-recommended 45-degree brush-to-tooth angle. What’s more, our unique oval-shaped brush head is designed to allow for the soft bristles to be arranged in a circular pattern — as opposed to in straight rows — so you gently massage and invigorate your gum line instead of rupturing it as you brush. Clean between teeth daily with floss to remove plaque and food particles that toothbrush bristles can’t reach. Our naturally sourced, tree-based xylitol and pure silk flosses are free from the toxins found in similar products and glide easily between teeth for a meticulously clean finish. And they taste great, too! We wanted them to have additional oral health advantages as well as a great taste, which is why we picked cranberry for its antibacterial properties, and natural mint tea tree, a renowned antiseptic.